How Can I Know I Will Never Die? Welcome back. 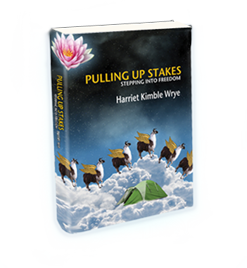 I hope you have been savoring the practice of our virtual retreat with Zen Master Thich Nhat Hanh. Let us continue….. 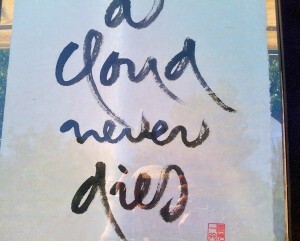 This calligraphy “A Cloud Never Dies” was done by Thay and offered at the retreat for sale to benefit hungry children in Vietnam. On another day during the retreat, Thich Nhat Hanh offered another deceptively simple but profound teaching about interdependence that even the children can understand. He said, “My right hand is quite gifted. She can write poetry. She can cook and sew. My left hand can’t do any of those things. But my right hand doesn’t say, “Stupid Left Hand, you’re good for nothing. Look what I can do!” And my left hand doesn’t say, “You always get to do everything! It’s not fair!” They get along so nicely together. They support each other. One day, I was hanging a picture in my hut and I was using a hammer in my right hand. My left hand was holding the nail, The hammer slipped and pounded my left thumb instead of the nail. Immediately my right hand dropped the hammer and rushed to cradle and comfort my left hand. My left hand didn’t say, “You are stupid! How could you do that to me?” She just accepted the comfort of her sister. So my left and my right hands are friends. They are very different and they get along peacefully, just as we need to do with everyone and everything which is different from us. When the children file out of the dharma hall with some of the brother and sister monks and nuns, Thay then offers his dharma talk to the adults. Each day, the talk goes deeper and deeper into Buddhist psychology and philosophy, teaching ethical values of equanimity, releasing anxiety through breathing meditation, coming into the present moment, learning to choose which “seeds” to water in the store conscious (or unconscious) , and which to let wither–of course seeds of compassion, calm, equanimity, generosity are the seeds to water, and anxiety, envy, cruelty, greed are the type to let wither.